An ASUCD Senate Resolution to recognize and condemn the various forces that threaten student activism at the University of California, Davis (UC Davis), and reinforce its support of safeguarding the work of student activists at UC Davis. WHEREAS, student activists have advocated for their respective communities and the larger work of justice for decades, in the process helping build a more vibrant campus: that they should be safeguarded from forces that threaten to intimidate or silence them, and by extension the communities they fight for. THEREFORE LET IT BE FINALLY RESOLVED THAT, copies of this resolution shall be sent to: the Office of Campus Community Relations, Center for Student Involvement, Chancellor Gary May, Provost Ralph Hexter, University of California President Janet Napolitano, the University of California Students Association, Davis Enterprise, and The California Aggie. 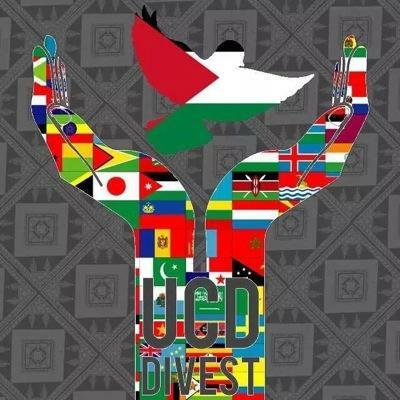 On the evening of Thursday May 28th, the Associated Students of the University of California, Davis voted once again to pass a divestment resolution against companies that assist in the ongoing human rights violations in Palestine. Much like the passage of Senate Resolution 9 in January of this year, an overwhelming majority of senators voted ‘yes’ in support of SR 17 with a final vote count of 10-0-2. Although SR 9 was deemed ‘unconstitutional’ by the UC Davis Campus Court back in February, the Divestment Community views this second victory as further affirmation of student concern in their university’s complicity with the Israeli occupation. The two resolutions are nearly identical with the exception that SR 17 includes direct ties to the resolution’s effects on ‘student welfare,’ which the Court felt was missing in SR 9. The almost undebated passage of SR 17 reflects the progress of student politics and ethics here at UC Davis over the past 3 years, while also keeping alive the tradition of students taking a stance on political issues. This fight for justice has proved long and challenging as is every important issue. However, the community growth and dialogue that has emerged from recognizing that oppressed communities share the same struggles will always outweigh the adversities we have and will continue to face. Our work is far from complete, but we take this moment to celebrate this monumental step towards ending the University of California’s irresponsible and immoral investments. We thank you for your unwavering support and your commitment to promoting justice everywhere. (April 24, 2013) In the coming weeks, the Associated Students of University of California, Davis, (ASUCD) student government senate will be voting whether or not to divest from corporations that are profiting from human rights violations occurring in the occupied Palestinian territories. This will make the University of California, Davis the sixth UC to vote on a Divestment resolution this year, following UC San Diego, UC Riverside, UC Santa Barbara, UC Berkeley and UC Irvine. The resolution targets Caterpillar, General Electric, Cement Roadstones and Raytheon, all of which are profiting from human rights violations in the occupied territories (violations which have been deemed illegal by the United Nations and the International Court of Justice). 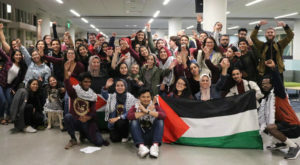 The Students for Justice in Palestine (Davis), sponsored the resolution, joining a UC-wide effort to assert students’ agency and insist on socially responsible investments by divesting from corporations profiting from the illegal Israeli occupation of Palestinian Territories.